I grew up in Washington State and every fall –my dad would get us up early, and rush out of the house in our rainy cold weather clothes and go tramp through the woods looking for mushrooms. Sometimes, we would come home with buckets and buckets of wild chantrelle mushrooms. Sometimes, we would come back with a handful. Either way, it was so fun to be outside with my dad, breathing in that earthy wet smell of the Washington forests. (I am getting super homesick…..). I remember going once with my best friend Leona and her dad. We got so many chantrelles and then went to her house and sauteed them in butter. They were so simple but so delicious! Needless to say, fall reminds me of mushroom picking and eating and I was very excited to get a package from Marx Foods. Marx Foods is a company based in Seattle, Washington that specialize in gourmet and hard to find foods. They have some really interesting things on their website like, truffle honey, lavender salts and kangaroo meat. I highly recommend checking them out-their website is here. I have been very impressed with them based on my limited involvement with them—they are active and supportive of the food blog community—and when you send them an email, they promptly reply. 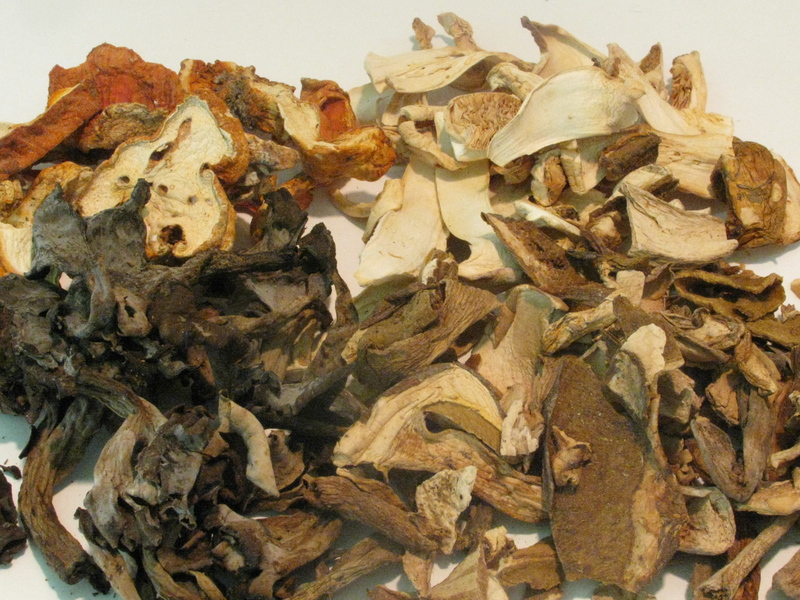 They sent me about 1/2 ounce of dried Chantrelles, Lobster Mushrooms, Black Trumpets, Porcinis and Matsutake Mushrooms–all of which were hand collected from the Pacific Northwest. I felt they had sent me a little piece of home and I was very excited to use them. A risotto seemed like the perfect opportunity. A perfect recipe for fall and a delicious and healthy dinner for the family. I have to admit—I was a little bit scared to make this as it seemed so complicated and I wasn’t sure I would like it. Let me reassure you, it is NOT complicated, just a bit time consuming, but so worth it. You should make it. 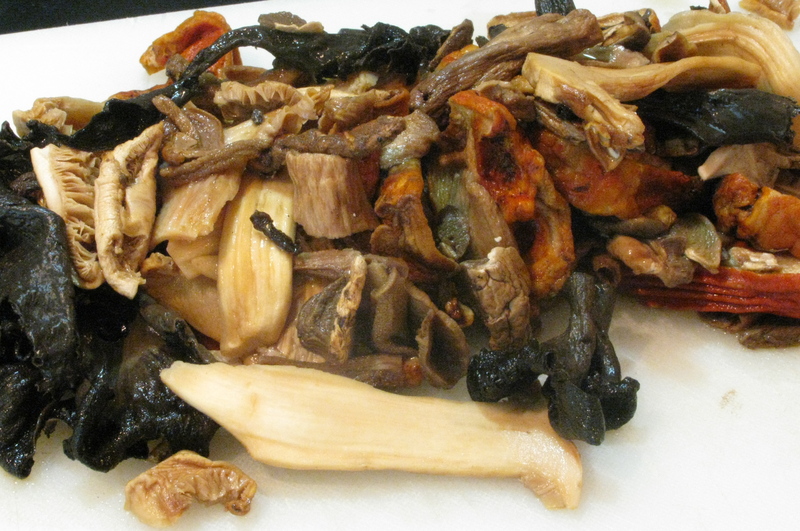 1) If using dried mushrooms, you will need to reconstitute them. This is as easy as boiling some water, pouring it over the mushrooms and letting them soak for twenty minutes. The results will be plump, ready to use mushrooms and nice beautiful mushroom broth to use in your cooking. If you are lucky enough to live in a place (or have the knowledge) and can forage for the mushrooms–good on you. Clean your ‘shrooms and cut them in quarters. We are looking for small pieces of mushrooms not huge chunks. 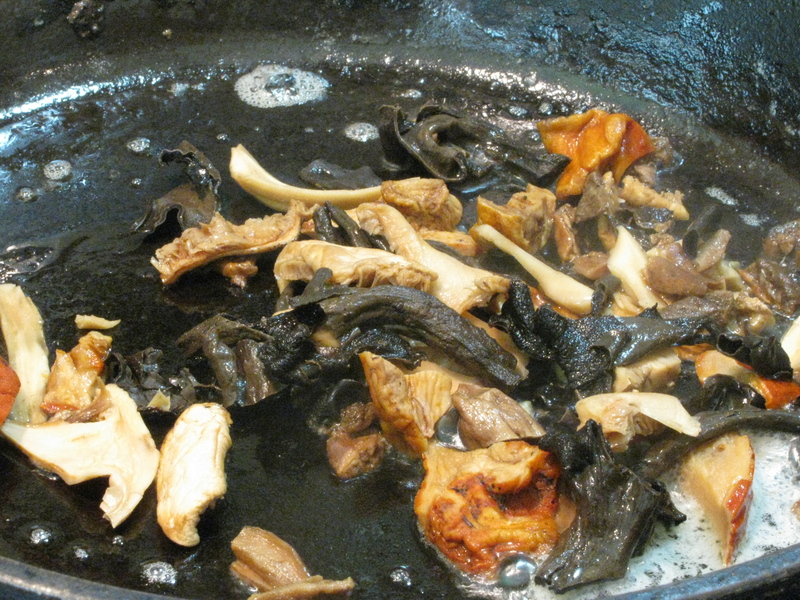 2) Once the mushrooms are ready, heat about 2 T butter in a cast iron pan and saute about 1/3 of your mushrooms. Sprinkle with salt. Set aside. Repeat with the second two batches of mushrooms. 3) In a saucepan, combine the chicken and mushroom broth. Heat until almost boiling. Turn down but keep warm. 4) In a separate saucepan, heat 1 T of olive oil and saute the onion and shallot until translucent and smelling delicious. 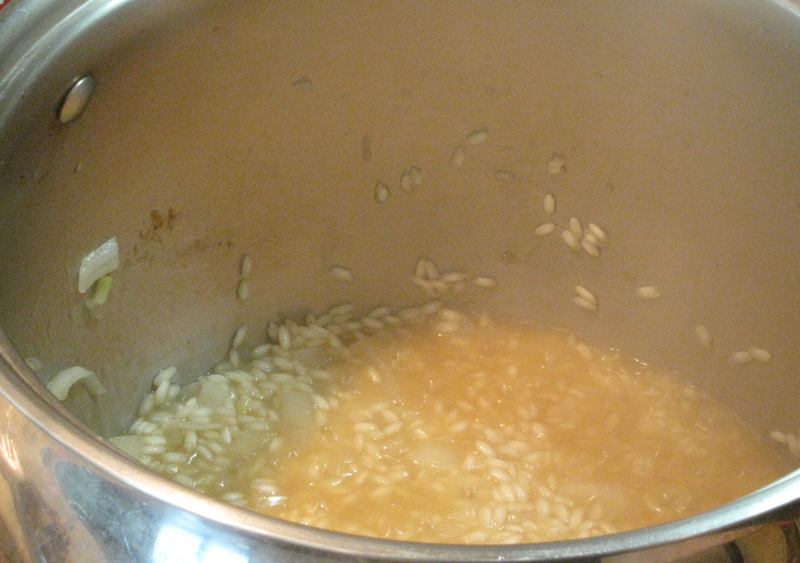 Add the Arborio Rice. Saute for about 4-5 minutes. 5) At this point, you are going to slowly add about 3/4 cups of the broth at a time. Pausing and stirring in between each addition for the rice to absorb the liquid. The Amateur Gourmet has a great video on how to do this and it really made me less scared to try it. You can watch it here. It takes a minute or two between each addition of liquid for it to absorb. The whole process should take about 20 minutes. 6) After the 4th addition of liquid, about ten minutes will have passed. You will wonder if you will ever be done slaving in front of the hot stove. You will wonder if it is really worth it. Don’t worry–it is. 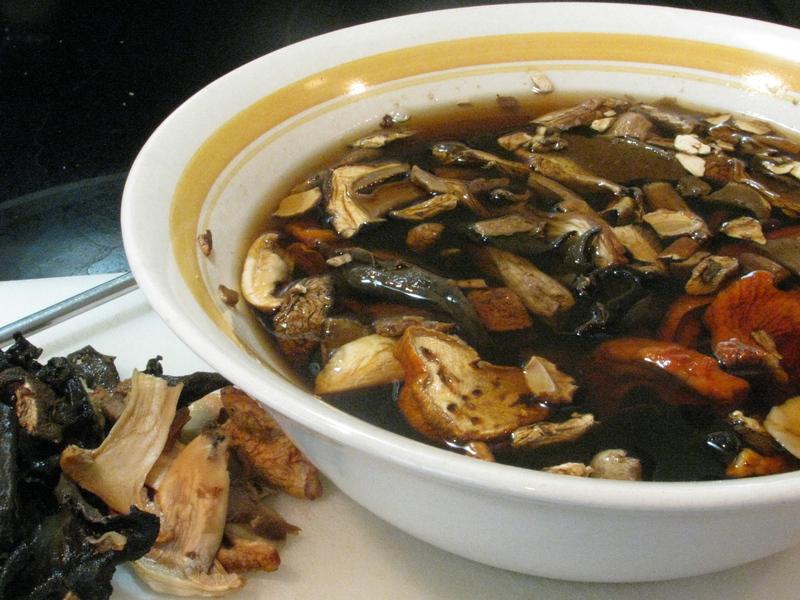 7) Before you add in your 5th broth serving, add the sauteed mushrooms that have been patiently waiting. They are ready. 8 ) Continue with broth additions until you are left with no broth. 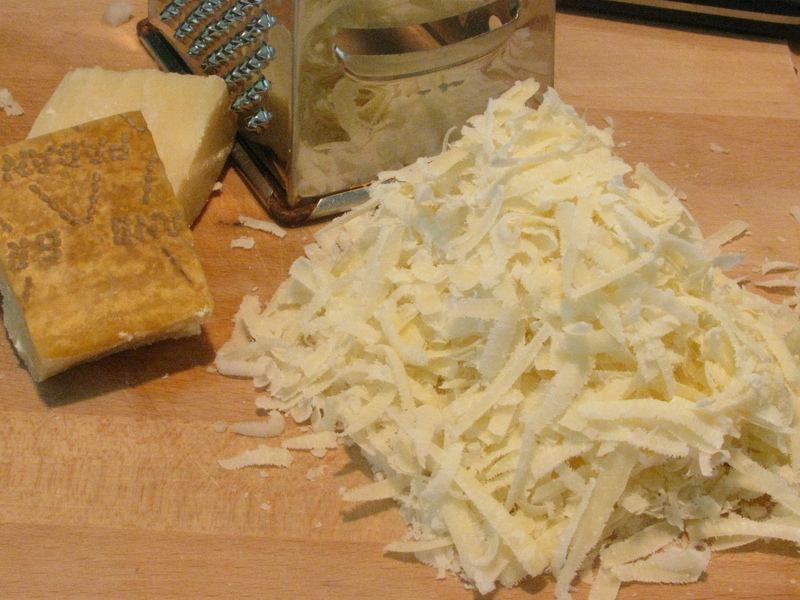 9) For the final step, add the Parmesan cheese and mix together. 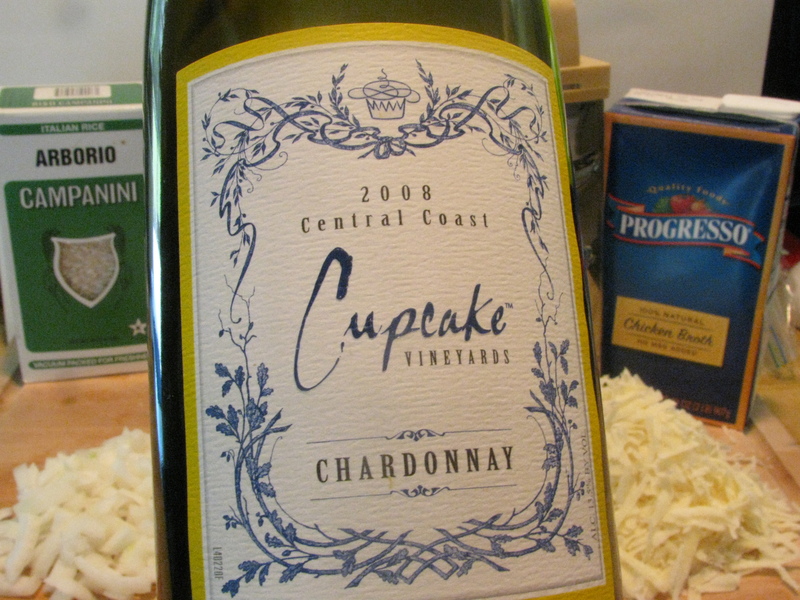 Serve with Parmesan……and maybe some grilled WILD salmon (because, friends don’t let friends eat farmed salmon) and a fresh spinach salad. 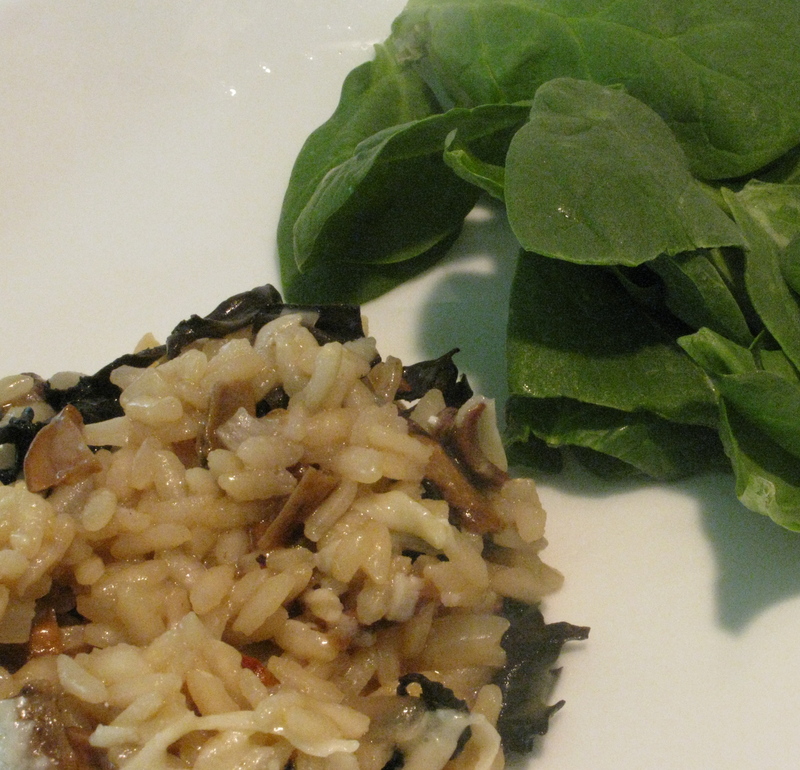 Seeing that we live in Florida and my dad never sends us any fish–we ate the Risotto with a Spinach salad and no salmon–but I know it would be a good combination. 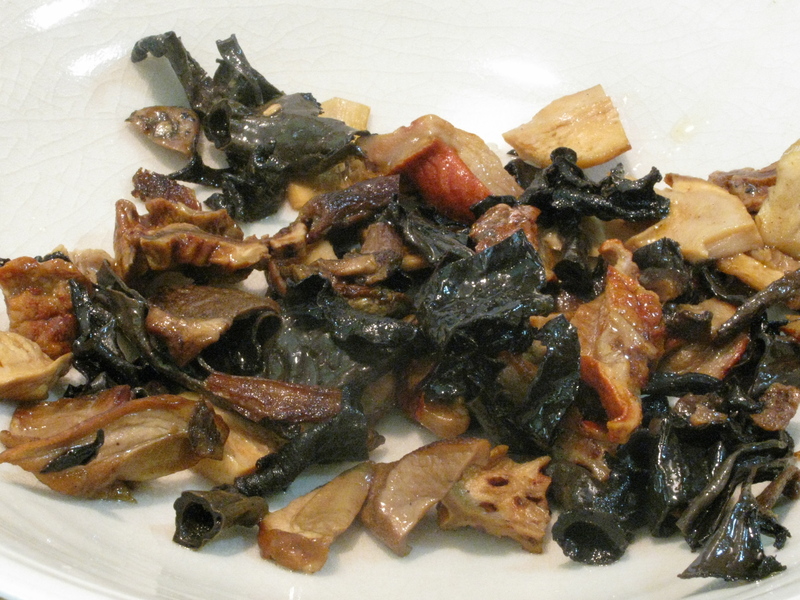 Disclaimer: Marx Foods provided me with samples of dried wild mushrooms to create this dish. A plea to vote for me! 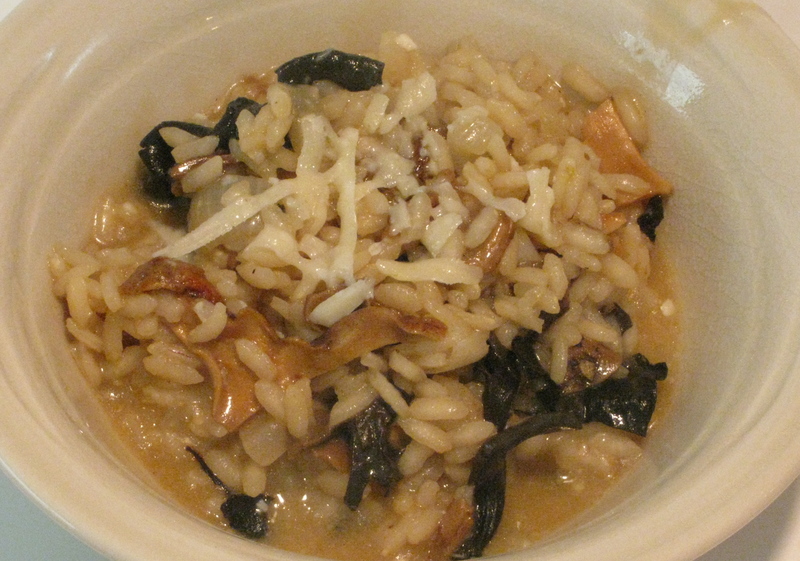 I never get tired of risotto…and mushroom adds such amazing earthy flavor to it!